Yesterday brought with it a very juicy and - importantly - believable rumour courtesy of US retailer Best Buy. If you missed it, an internal employee terminal suggested that Persona 5, Metroid Prime Trilogy and The Legend of Zelda: A Link to the Past are all on the way to Switch. There have been rumblings about Metroid and Persona going around for a while, so we wouldn't be surprised to see those be officially revealed at some point soon, but A Link to the Past? Interesting. Anyway, in response to this information and the related photographs of the system's listings spreading around the internet like wildfire yesterday, it would appear that Best Buy has now removed the products from view. According to @Wario64, the games have been pulled from the store's internal system, but further digging reveals that they are still present in the retailer's RSS. While this is purely speculation, it would certainly make sense that this is simply a cover-up, with Best Buy doing the only thing it can to stop the rumours spreading. We see no reason for Best Buy to have listings for games that don't exist, and it wouldn't be surprising if Nintendo itself swooped in to try and deal with the situation, asking for their removal. Perhaps these games were intended for an E3 reveal? Twitter users replying to Wario64's comments agree. As always, we'd urge you to remember that none of the titles mentioned have been officially confirmed as of yet. While the signs do seem promising, treat this as a simple rumour until we hear more. Naturally, we'll let you know if any of these games do get officially announced. Do you think this was a simple slip-up? Do you expect the games to be revealed soon? Share your thoughts with us in the comments. Im reading a lot of rumours here, getting al hyped and then getting dissapointed. I hate this time of year, roll on E3!!! Tbh at this point it’s not a rumour... it’s confirmation. Enough evidence and history to suggest these games are coming. I miss the old RSS. Leaks and data mines end up being true more often than not. I believe these 3 games exist, as does the 2 new Switch models and premium online service. I'm still scratching my head as to what form A Link to the Past will take, and I would be curious to know how Nintendo would go about revealing it when they already have a game coming this year. It would be great if they announced Metroid Prime HD Trilogy at E3 and then said "available for download after this presentation". That would be an even bigger surprise, but with a special edition physical copy too. Am kind of expecting it anyway after what happened to MP4. Would they release this so close to Links Awakening? Is it a port or a remake? If it’s a port does this mean that they’re going to sell SNES games separately rather than include them in the online service? The first two rumoured games seem to make sense but the Zelda stuff seems fishy to me. . .
Metroid Prime Trilogy is pretty much confirmed at this point, we just need Nintendo to confirm it officially, but the real question is when? Why wait all the way until E3 when you can make mad money now? A link to the past makes me think it's the start of a Snes classics series for the Switch as digital downloads and they will probably release them as vouchers as well. Maybe. @TJM Might be a 2020 release? If this is true, i don't see this releasing close to Link's Awakening. The Wind Waker HD was released in 2013 and Twlight Princess HD was released in 2016. Sometimes I regret clicking on these pages and viewing “leaks” and stuff. I like being in the know... but in the other hand it really takes away some of the joy of those games getting announced at E3 and Directs cause I already knew. The problem is it’s hard to avoid as it gets covered everywhere. Prime Trilogy and ALTTP on switch sound great, but I wish they'd let companies make their big reveal as they intended. This can only lead to either less excitement due to the lack of surprise or pure disappointment if a game isn't announced. @FragRed Perhaps LttP and Links Awakening remakes are part of a collection? Unless LA has significant additions then I can't see how it could be sold as a full price title. Both games remastered with minimal additions and an online 4 Swords mode, would definitely justify a $60 price tag though. Oh ya. 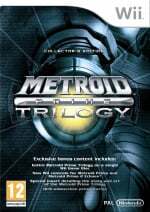 We’ve known Metroid Prime Trilogy was a thing for a while now. Multiple credible sources have confirmed the game’s existence. And Persona 5... look. If that game didn’t come to Switch, after Nintendo choosing the DLC characters, after Persona 5S being confirmed and separate from 5R, after Sony exiting the handheld space and after leaking on BestBuy... fans would riot. If all of that happened just for Nintendo to say, “ya sorry, we hand selected this DLC character for promotion to 15 million Smash players to funnel them all toward the PS4 to play the game he’s from, and oh btw P5S isn’t for Switch and oh btw, the leak was a coincidental mistake” I think fans would stampede Nintendo and Atlus HQ with pitchforks. A link to the past is the odd one here. I'm really hoping it may confirm that their may be some kind of compilation of Zelda games. So much excitement for ports. I'm not sure I understand what the last tweet from Casey Thrower is saying. Maybe it's just too early and my brain isn't on fully (a likely scenario), but what does "We could pretty much tell what was going to be announced by looking and seeing what was shown previously with P5 and link to the past" mean exactly? Were they able to accurately predict game announcements with similar games in the past and he's saying that P5 and LTTP are likely real based on that? At least for me, A Link to the Past on Switch (in any form) would not mean anything for Link's Awakening. If it were a remake of some kind, I'd buy both. Cool if they're coming. Not E3 worthy though imo. These should just be announced in a Direct or whatever. Wonder if this is just an April Fools joke though. Either meant for internal view to mess with coworkers... or they knew people would catch on to this and are now laughing at all the news stories about it. Of course it could be real still but that remains to be seen. Whatever the case, I don't buy rumours. I'll wait until these games are officially announced to believe that they're real. And if not... well, no loss to me. I'd probably get all three if they would come but I can do without them. @Yosher it's not an april fool's joke - it was in the system - I really doubt that best buy did that on the off chance that someone might actually find it nor would they want the negative attention that it would bring from nintendo in pulling a stunt like that. "It being deleted or not means nothing anyway until they're officially announced". @hippoeater Hey I doubt it too but you never know. Some dumb joker could have gotten access to the system and inserted these things for fun and giggles. Stranger things have happened. Again, I doubt this is the case too, but it COULD be. At least we hope this is true. If not, riots will come. Technically ALttP was already remade in the Awakening engine with A Link Between Worlds, so I'd largely rather just have that one. It kept the fun of the game while modernizing some of the frustrating aspects. Though I'd love a full legit remaster of ALttP.....it would be too similar to ALBW. This is exactly what I was wondering as well. Maybe they just got their Zelda's muddled up. A Link the the Past is such an oddball in that list. They just left off "collection". It's a clever play on words but will have all the old Zelda's bundled. Really, though, I don't see where it fits in. If trilogy gets a remaster, I hope it'll have some form of gyro control. I missed that on the Wii u version. It's perfect to play off-tv though. @erv the Wii version can only be played with the Wii nunchucks right? @PikPi He just means that, in previous years, looking through Best Buy's internal system would show unannounced games in the run-up to E3, before they were officially unveiled. Could it have been a calling card to change the heart of Best Buy? @impurekind But E3 is a direct? I had a couple problems with 2 and 3 back in the day. As a kid, I was terrified to use limited ammo in games, so it totally ruined the fun of the first game using the more unique beam cannons whenever I liked. For 3, I didn't like the motion controls. I much prefer the original controls to this day. 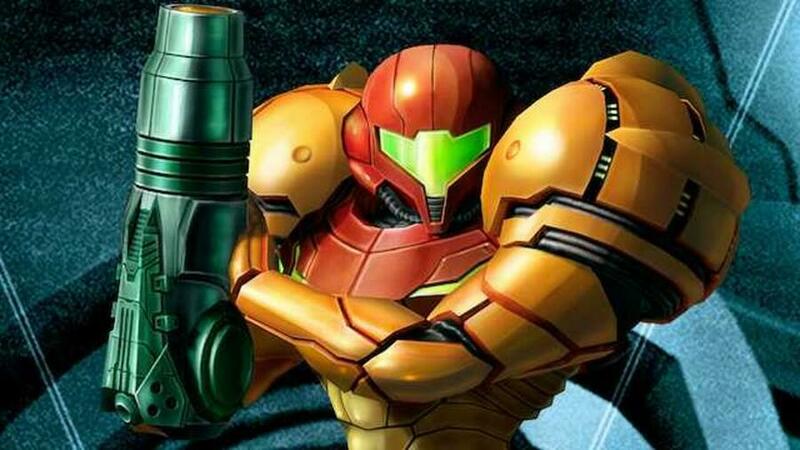 And it felt weird to have Samus interact with people. Just out of place in my opinion. @BlackenedHalo I thought so. But the wii U version was the one that could've benefitted from those gyro controls. Sadly it didn't so here's hoping for a good remaster that has it. @MagnaRoader The reason they haven't released or confirmed it in any capacity yet likely has to do with the absolutely loaded release schedule Nintendo has this year. If we did get a reveal for it this year, I wouldn't be surprised if the date on Best Buy was a placeholder and it actually released next year. A huge hindrance in the gaming industry is self-competition, which is what ultimately caused Atari's downfall. I like Zelda... But do we need remakes of both A Link to the Past and Links Awakening? I could understand if they gave A Link to the Past the Breath of the Wild treatment but isn't it more likely going to look like Links Awakening? This is a lot of 20 year old Zelda in a short time. I just want my Metroid Prime HD trilogy! As another said Leaks and datamine are more reality based then rumours.